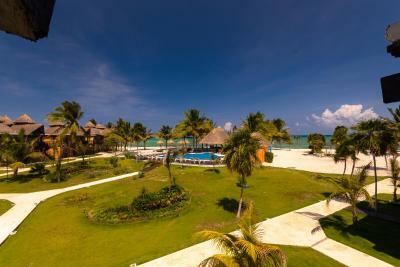 Lock in a great price for PavoReal Beach Resort Tulum - rated 8.4 by recent guests. 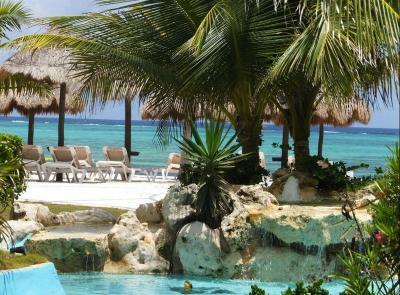 The location was great, staff were friendly, resort was uncrowded & grounds were kept beautifully. Fun activities available for those wanting to participate (dance lessons, bocce). Food in the main restaurant was alright for an All-Inclusive although the 'Authentic Mexican Restaurant' was very disappointing. I don't have high expections for the quality of dining in similar resorts but the convenience for a short stay (5 days) & the value for money was good. 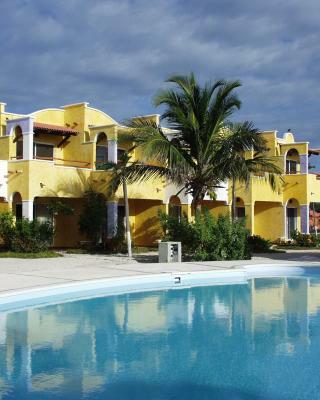 I would have no hesitation recommending the Pavo Real to other travellers. 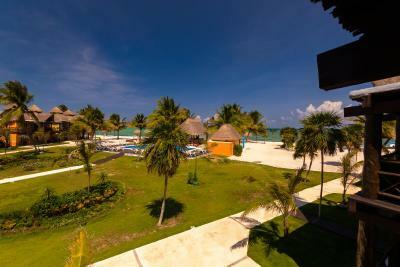 The resort was quiet and had a great beach. The food was very good. Very pretty hotel. 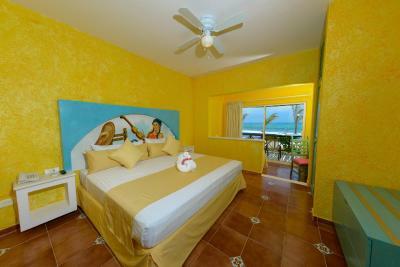 The room we had was right on the beach and was very bright and colorful. Hotel staff was pretty good. Great staff if you have teenagers and for keeping kids occupied. I also liked how safe it was. They really make sure they know where you're going and keep track of when you get back. Very secure. The food is pretty good. Breakfast and lunch were best. It was amazing everything, less the coffee and the wine but all the rest it was over expectation. The italian manager and the Chef are doing a great job 👏👏 Feel like at home, cant wait to be back. The staff tried to accommodate me and my son even though we didn't speak a word of Italian. I liked that there is a daycare kind of service included. Nice hotel full of Italians. Free drinks and food! 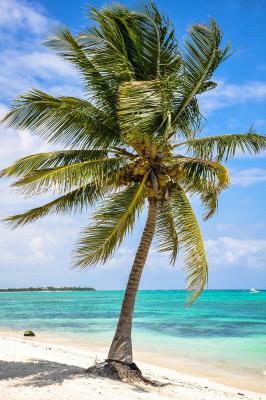 Nice, low-key place with great beach. Food is tasty but no variety. Good pressure in the shower. The beach is kept so clean and beautiful even during the seaweed season. The food is very fresh and delicious. The beach bar makes an awesome pina colada. 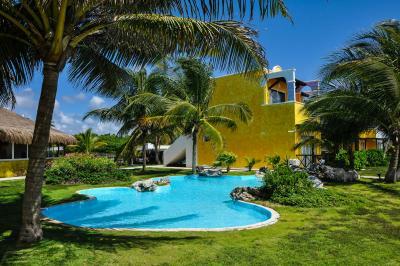 One of our top picks in Tulum.Featuring 350 yards of private beachfront in the Caribbean Sea, along with sun beds and towel services, this resort has 3 outdoor pools, a hot tub and offers massages. 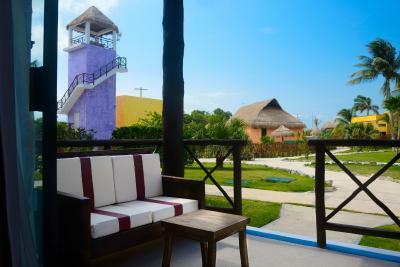 The rooms at PavoReal Beach Resort Tulum are air conditioned and equipped with a minibar, safety box, hairdryer, vanity mirror, satellite TV and telephone. 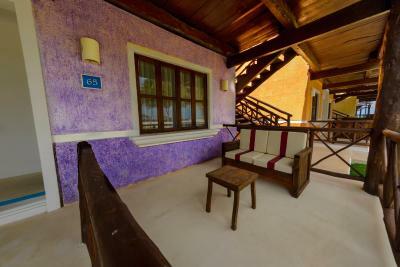 The terraces with sea views feature sofas, chairs and tables. 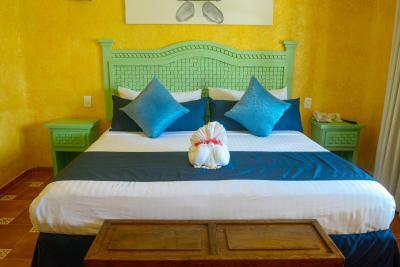 All rooms have private bathrooms that provide toiletries and a hairdryer. 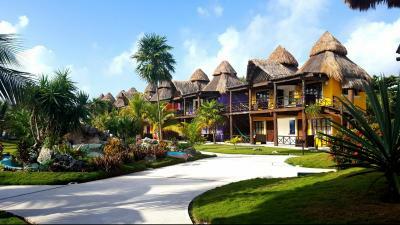 The PavoReal Beach Resort has a buffet restaurant, but there is also Cobá, the à la carte restaurant that works upon prior reservation. 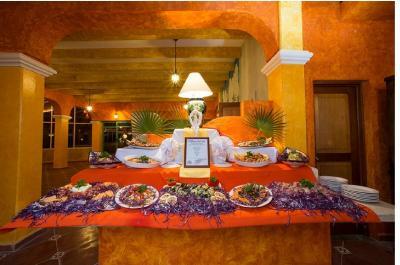 It is specialized in gourmet Mexican-style dishes, but also grilled cuisine. 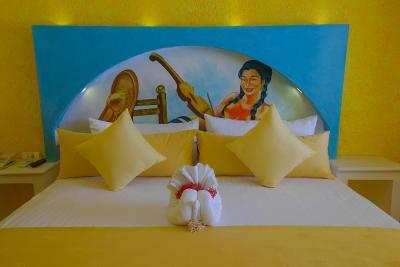 The service may be delivered by the beach side, or in the guest’s room. 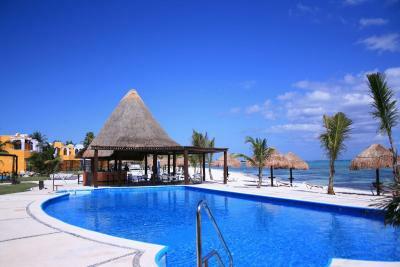 The property also has three on-site bars: one by the pool area, one at the beach and one inside the property. Tulum archaeological site is 7 minutes’ drive from PavoReal Beach Resort and Playa del Carmen is reachable in a 40-minute drive. 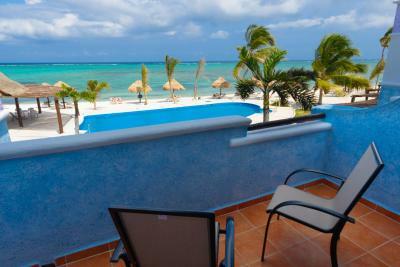 Cancún International Airport is a 90-minute drive away. 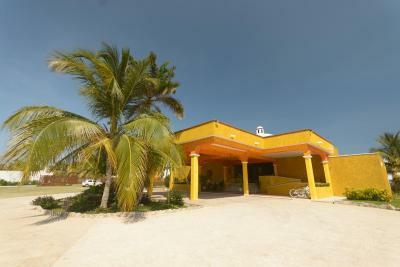 PavoReal Beach Resort Tulum has been welcoming Booking.com guests since 13 Mar 2013. 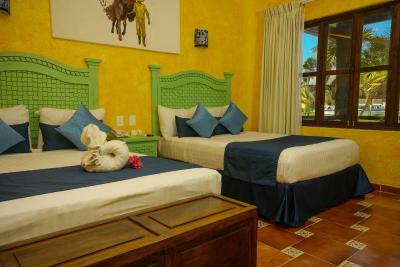 When would you like to stay at PavoReal Beach Resort Tulum? 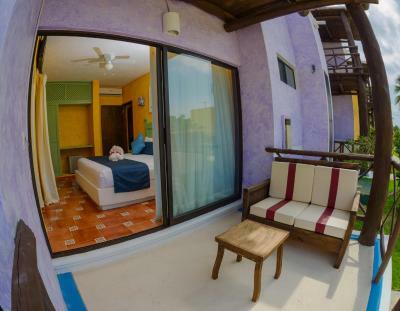 Located on the ground floor with direct access to the beach, this room is equipped with air conditioned, ceiling fan, TV, minibar and safety-deposit box. 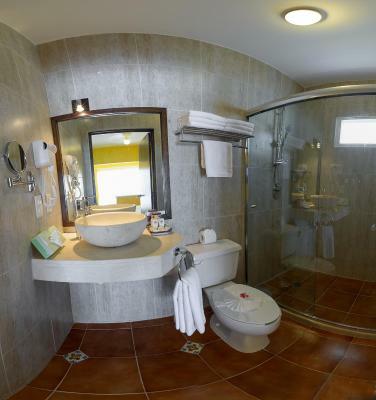 A private bathroom with shower, vanity mirror and hairdryer. 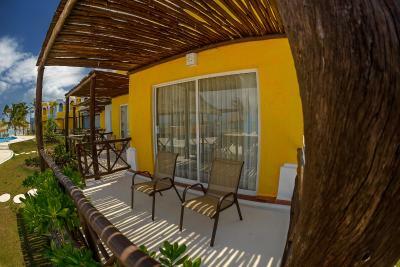 A Balcony or terrace with chairs or sofa is featured and hammocks are available upon request. 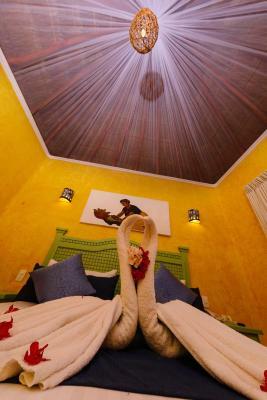 This room is located in a different building, features thatched roofs, a mini bar and air conditioning. 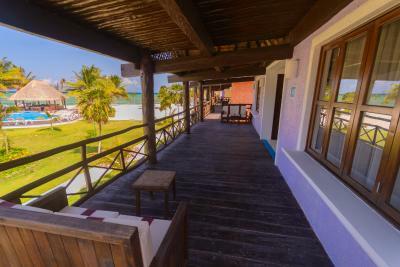 A balcony or terrace overlooking the sea is also available. The bathroom has a shower and provides free toiletries and a hairdryer. 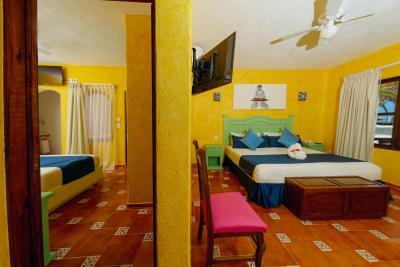 This room is conformed by a Superior Room and a Standard Room interconnected, and it features a mini bar and air conditioning. The bathroom has a shower and provides free toiletries and a hairdryer. 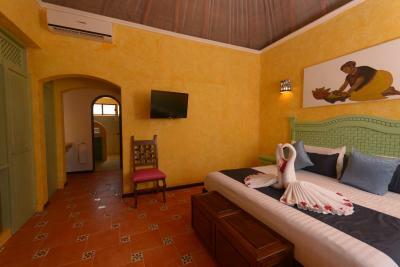 This room is located beachfront and is equipped with air conditioned, ceiling fan, TV, minibar and safety-deposit box. 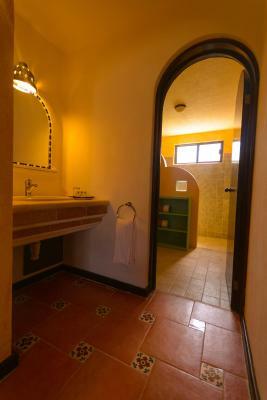 A private bathroom with shower, vanity mirror and hairdryer. 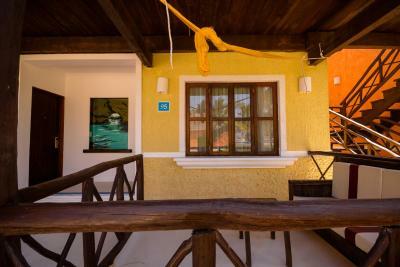 A Balcony or terrace with chairs or sofa is featured and hammocks are available upon request. 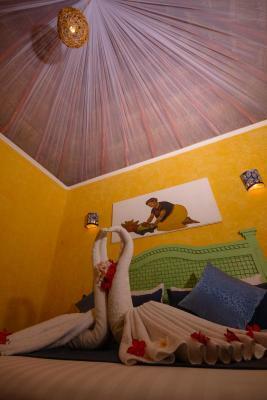 This room is equipped with air conditioned, ceiling fan, TV, minibar and safety-deposit box. 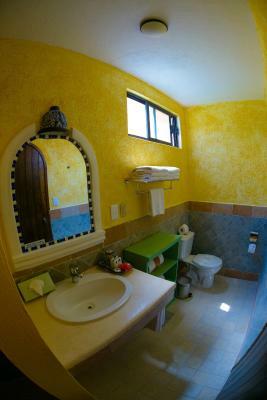 A private bathroom with shower, vanity mirror and hairdryer. 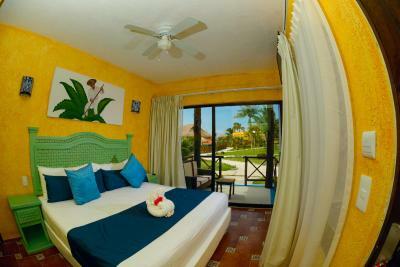 A Balcony or terrace with chairs or sofa is featured and hammocks are available upon request. 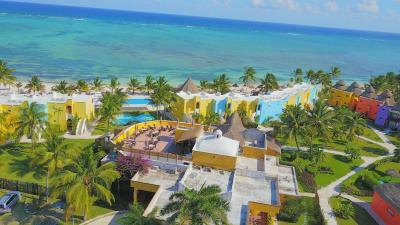 The PavoReal Beach Resort Tulum which has been renovated during Summer 2012, is located in the wonderful Maya Coast, only few kilometers north of Tulum's archeological site, surrounded by the typical luxuriant Tropics vegetation. Why should you choose it? 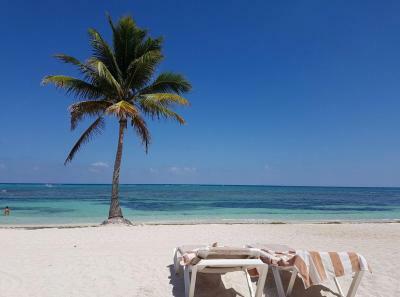 We have Italian management, a privileged position on a beautiful expanse of sea and fine beach in front of the Reef and Mexican style and Latin/Italian soul for your stay. 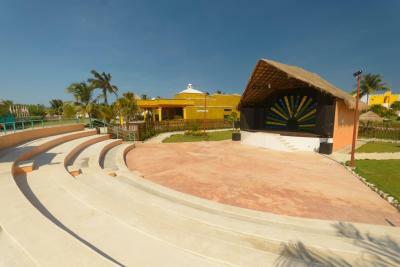 House rules PavoReal Beach Resort Tulum takes special requests - add in the next step! 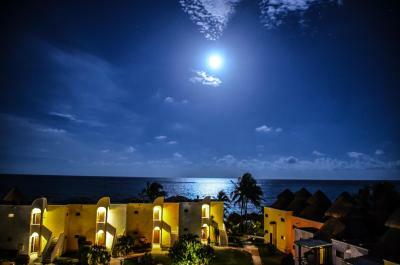 PavoReal Beach Resort Tulum accepts these cards and reserves the right to temporarily hold an amount prior to arrival. 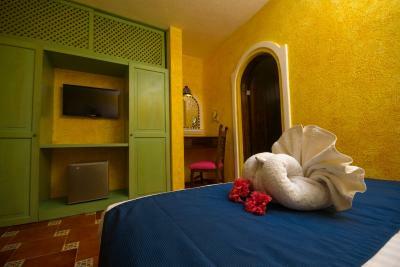 Guests have to provide a voucher of $3000 MXN as a deposit as the minibar is not included in the Full Board rate. Everything. The hotel was dated. The room was uncomfortable and small. The bed was lumpy. The food service was inconvenient and catered to an Italian tour group so it was not authentic Mexican cuisine. The facilities were old and dirty. There was nothing to like at this hotel. I wouldn't even bother going to the Mexican Restaurant for the sit-down meal. Wifi wasn't available in the rooms unless you paid an additional fee but didn't bother us. We don’t speak Spanish or Italian and that made things quite challenging. There were very few staff who knew any English. This resort caters mainly to Italians. 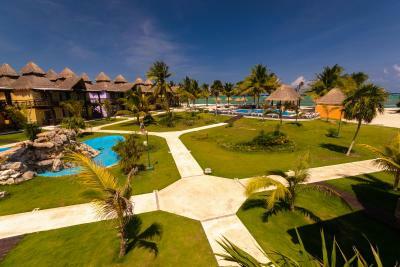 Also, we couldn’t book any tours through the resort; that service was only available to Bravao Club members. Super friendly staff. Good food. The resort catered to Italian guests. All the entertainment was in Italian and we speak english. It was not clear in information. The staff and food was excellent! Wasn't impressed that we had to pay to have Wifi in our room everyday. No ATM machine and they never had cash. The store (theirs only one) was never open at night. No room service. You had to eat in the dining hall for breakfast and lunch and dinner. Their entertainment (BRAVO Team) was way too loud when you were trying to relax and constantly asking you to participate in activities. Not great if you just want to relax. The music was extremely loud and not very chill during the day. There's one outside bar and I wasn't very impressed with the drinks. You can't eat on the beach either which was disappointing. Zero beach service. Towel person seemed to never be there. They have one masseuse for the entire Hotel and the place they give massages is right in line with where kids play and you can here the DJ playing loud music. So not the best set-up. They should have a private setting for massages. They also won't do them on the beach and I had 1 every day I was there. I think they should cut the entertainment team in half and hire people to get spa treatments (Manicure, Pedicures, Facials, Massages etc). Pool was also very cold. They should have one of the 3 heated. Was there to chill on the beach and the pumping euro- rave music was abit much at times. 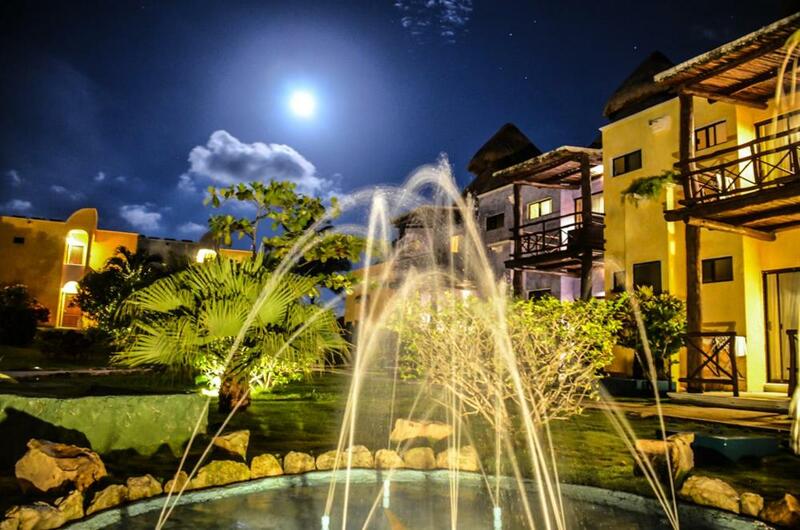 Fantastic setting, amazing restaurant and a great package. A bit too far from Quitana Roo, if you want to spend time there too. The drinks at the pool bar weren't that great... The beer was warm and the tequila they offered was not good. The mojitos were good though. But you could pay a little more to get some top shelf drinks if you wanted. We stayed in a garden view room and it was fine, they upgraded us to a room with a view when we extended our stay but the bed in that room wasn't very comfortable. We could fill the springs... Other wise great place and totally worth the price. Amazing beach front resort. The staff was great and the food was delicious. 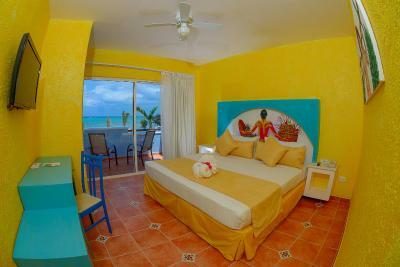 They kept the beach really clean of sargasso and the rooms and facility were really well kept too. 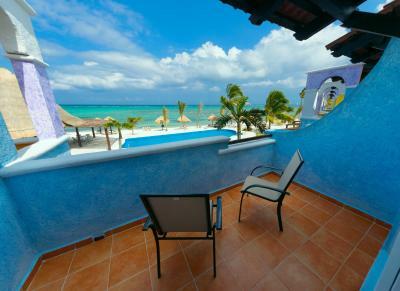 We loved it so much we extended our stay for an additional 4 nights. The staff really went out of their way to be fun and helpful. It was mostly all Italians and many Italian speaking staff. We don't speak Spanish very well anyway so it was not a problem for us. 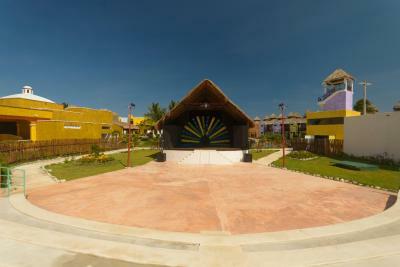 They had day time games, samba performance, yoga and various tours offered through out the week, and nightly entertainment. The food was great and there was a lot of diversity offered, we thought. 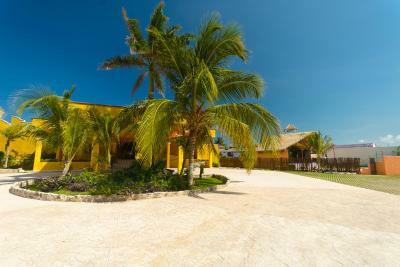 We enjoyed the Mexicana restaurant, you have to make reservations. The kitchen and restaurant staff were excellent and very friendly! 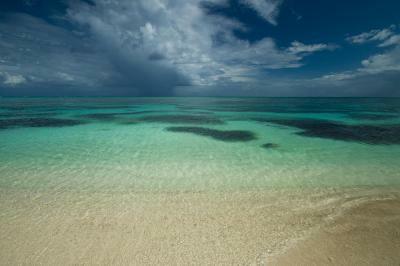 The snorkeling is great right off the beach but please be careful and do not stand on or touch the coral! They had free bikes, snorkeling gear, life jackets and kayaks too!!! 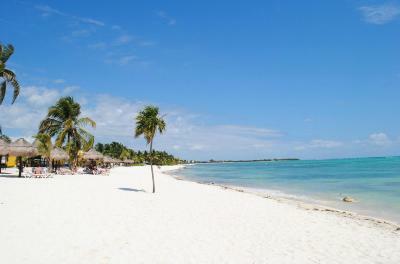 We had a rental car and took many day trips since it was close to Tulum, Coba, Sain Kaan and surrounding cenotes. We loved our stay so much and we want to return again next year. 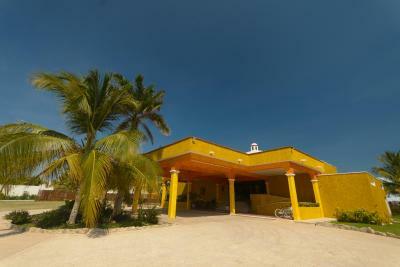 Nothing...but maybe w bit further away from Tulum town centre than we expected. You need to take a taxi. The drinks could have been better, and weird that it didn't include tequila. Nice hotel, very calm, food was good. 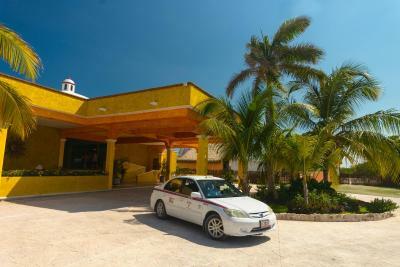 It is a little bit away from Tulum town, but a taxi costs around 300 pesos. I didn't like that there is no mention that the resort is mainly for Italian tourist, about 98% of the guests were from Italy. All entertainment is done in Italian. 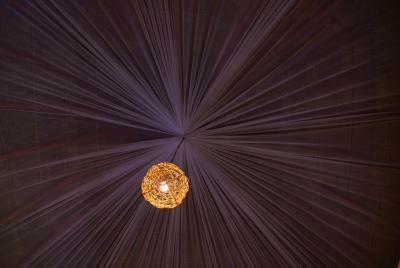 I didn't like that the ceiling in my room was made of palapas.